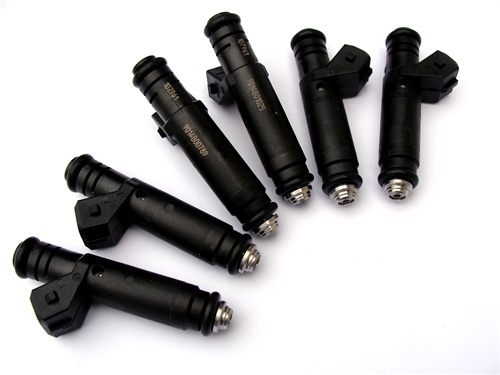 Set of (6) 60lb injectors (Siemens High Impedance, previously Mototron). Typically flow within +/-2% of each other. These may look skinny but they fit perfectly in the Turbo Buicks or Syclones/Typhoons. (Not for 84/85 Buicks unless using 86/87 ECM.)) Good for cars from stock down to 10.5's in the 1/4 on race gas, or down to around mid-low 11's on E85 (depending on combo). Requires no ECM modifications (besides a matching chip). Very good street manners for an injector this big, almost like stock.